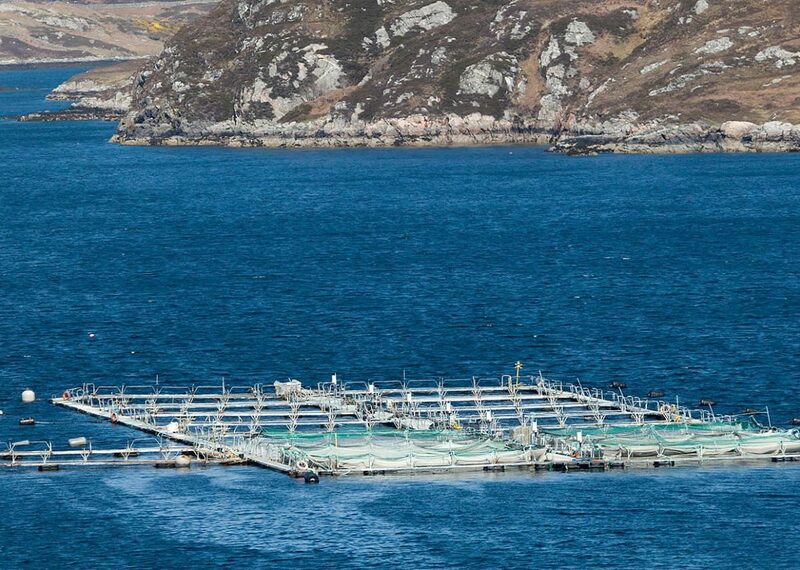 Loch Duart salmon grow in low density pens – a maximum of 98.5% water to 1.5% fish, allowing plenty of room to school and swim against the natural currents. This is essential to the rearing of lean, fit fish. Our original Sutherland sites have been stocked like this since 1994 and this level was adopted by the RSPCA Assurance Scheme in 2002. This is one of the key principles we operate in ensuring the best tasting and healthiest fish. Feeds are more than just nutrients for farmed fish, they deliver nutrition for people. Loch Duart has a bespoke fish feed, delivered in Loch Duart branded bags. We have had a bespoke fish feed made up to our specifications since 2004. We don’t buy an off-the-shelf formulation. Why we do spend more money on feeding our salmon with higher levels of marine ingredients? Let’s look at the biological reasons for using high levels of fishmeal and fish oil. 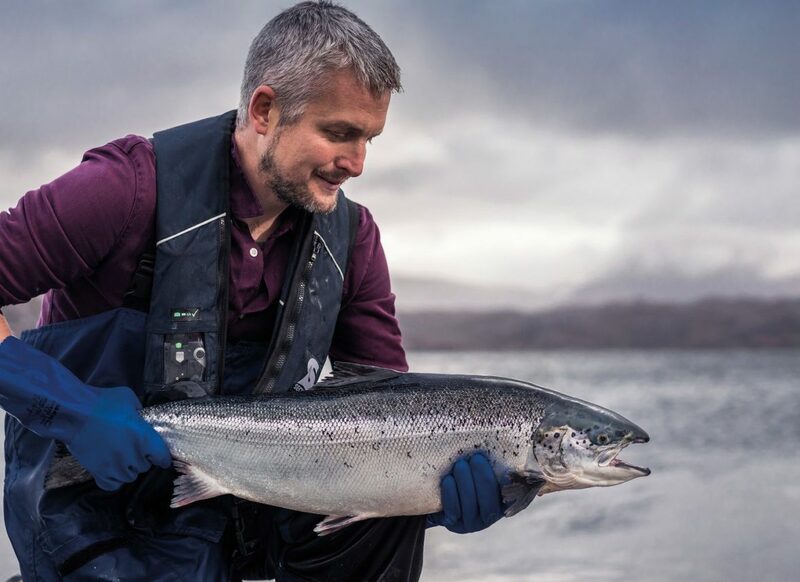 From the Loch Duart farmer’s perspective it is vital in terms of product quality, authenticity, taste and health (of our salmon). As well as the company recognising that it is central to our customer experience, it is very important to state that – from a fish health perspective – it is key to our ethics in rearing our fish. That’s a big issue for us as it connects so many strands of who we are, how we see ourselves and how the customer sees us. it is natural for the metabolism of the salmon. it builds up their immune system. helps fight the challenge of disease. 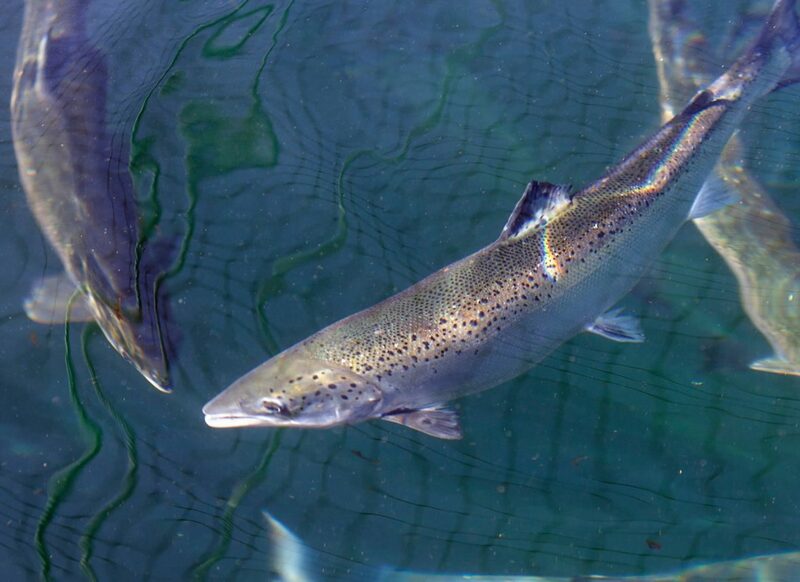 We want to feed our salmon a diet which is as close to what is authentic to the animal as is practical. Loch Duart believes that high marine content fish feed can be authentic for the fish and will taste very good. Are we stripping the sea of a vital food source for other marine creatures? Will we run out of forage fish? Loch Duart believes that the forage fishery catches are very well managed and monitored. We buy from IFFO RS or MSC certified fisheries whenever possible. we believe that the freeze-drying and optimum storage of foraged catches is ‘light years’ ahead of treatment of forage fish in the 1980s. The industry now maximises the protein availability. Salmon are such efficient converters. We believe that feeding marine ingredients to such efficient converters is the very best use of these wonderful marine ingredients. High marine content brings great taste, product quality and healthfulness. This last word relates directly to our salmon being healthy for the consumer. 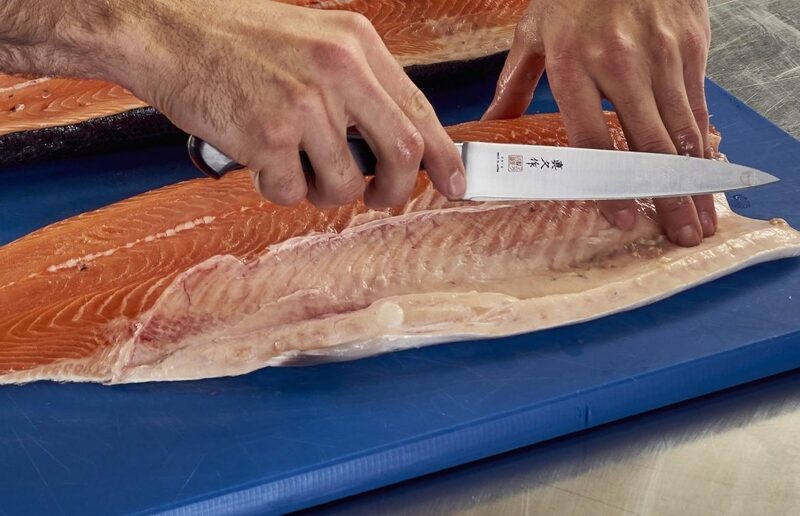 Loch Duart knows that the best flesh texture in salmon comes from marine ingredients. Our customer wants a firm fleshed salmon which flakes under the fork when eaten. Resistant to the fork initially then coming away in clearly defined, firm flakes. The UK government recommendation is that an adult should consume oily fish twice per week to digest 3.4 g of omega-3. Loch Duart salmon will provide most of that in one 140 g portion.